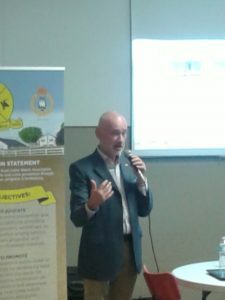 The Annual General Meeting for Grande Prairie District Rural Crime Watch Association will be held soon so please attend and update your membership or just stay informed about what’s happening in your community. Other topics on the agenda include an update from the RCMP, Zone elections and Bylaw updates. Further updates will be posted here on the website and/or be sent to you via the fan-out system if you are a member as the date draws closer. Please plan to attend this important meeting. Thank you to all of you for your continued participation and ongoing support in this volunteer organization to better our communities. At our fall meeting in Bezanson, Scott Chacko gave a very good presentation on TRACE IDENTIFIED technology. It was good to hear of the success in the province of Ontario, and hopefully here in Alberta, of Trace in the court system. We had reports from R.C.M.P. and met new detachment Commander Don McKinna.